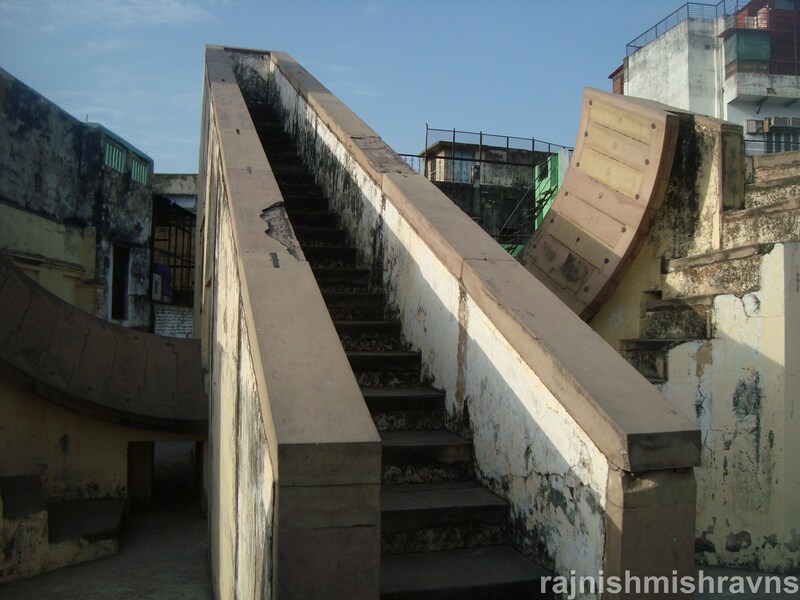 After returning from Banaras I googled Jantar Mantar and downloaded a pdf from the link <www.math.nus.edu.sg/aslaksen/gem-projects/hm/0203-1-07-jantar_mantar.pdf>. It gave me some basic information about the various yantras there. The description below comes either ffrom that pdf or from the information provided on marble tablets set in the instruments themselves. 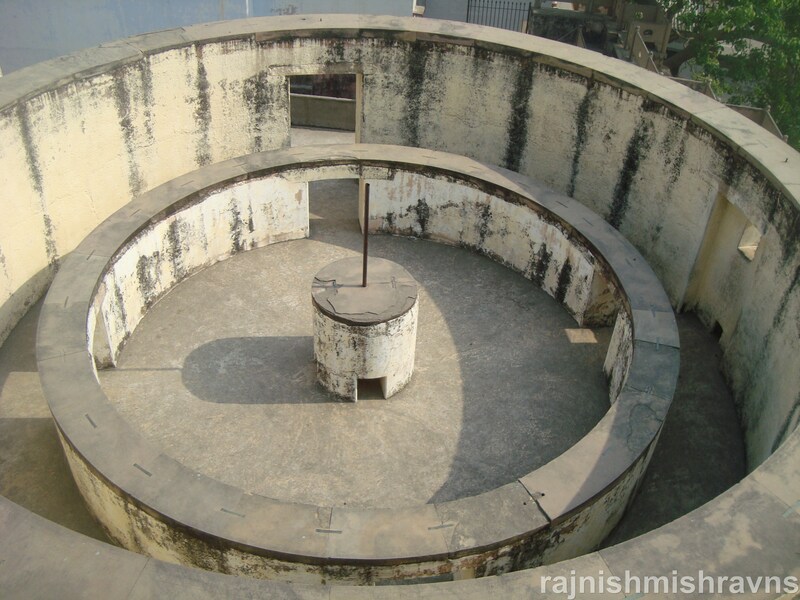 The Samrat Yantra is a grand sundial. The marble tablet declares that it’s for “finding time and declination and hour angle of the heavenly bodies”. 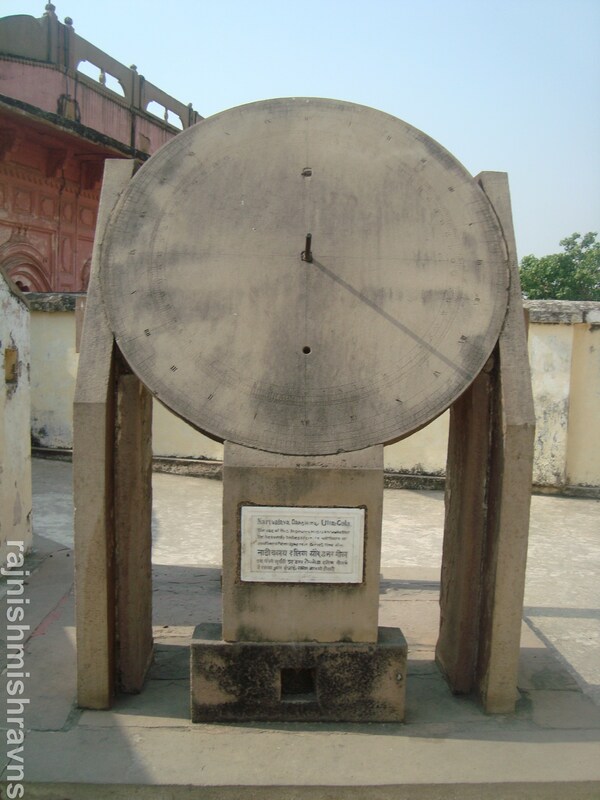 Its gnomon (hypotenuse), whose angle with the horizon is same as the latitude of Varanasi, points towards the North (Star). “The azimuth of the heavenly bodies is known by this instrument”. 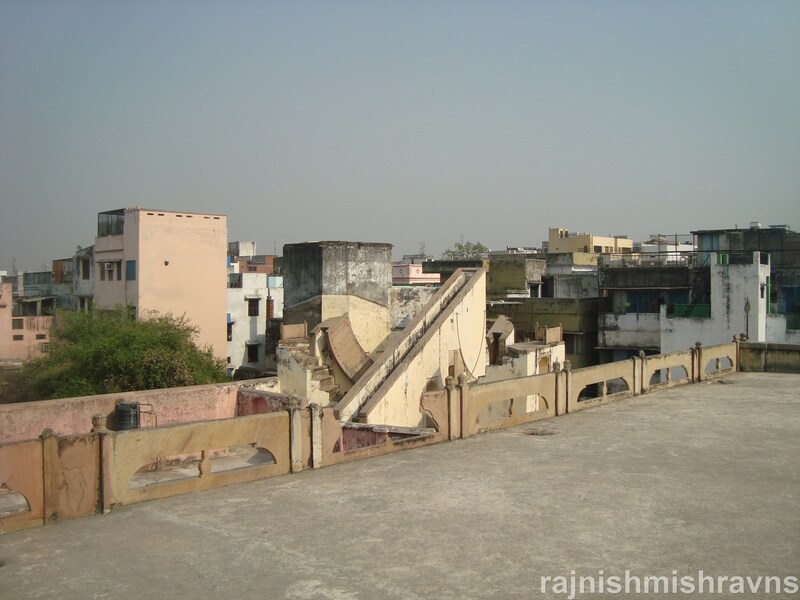 “The use of this yantra is to know whether the heavenly bodies are in the Northern or the Southern hemisphere. It gives time also”. 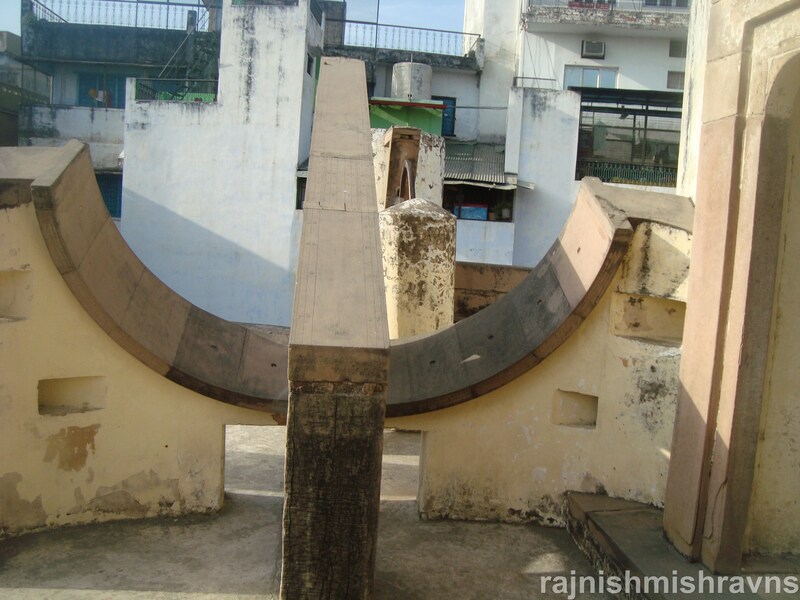 “For measuring the declination of the sun, moon and stars and their distance in time (hour angle) from the meridian”. 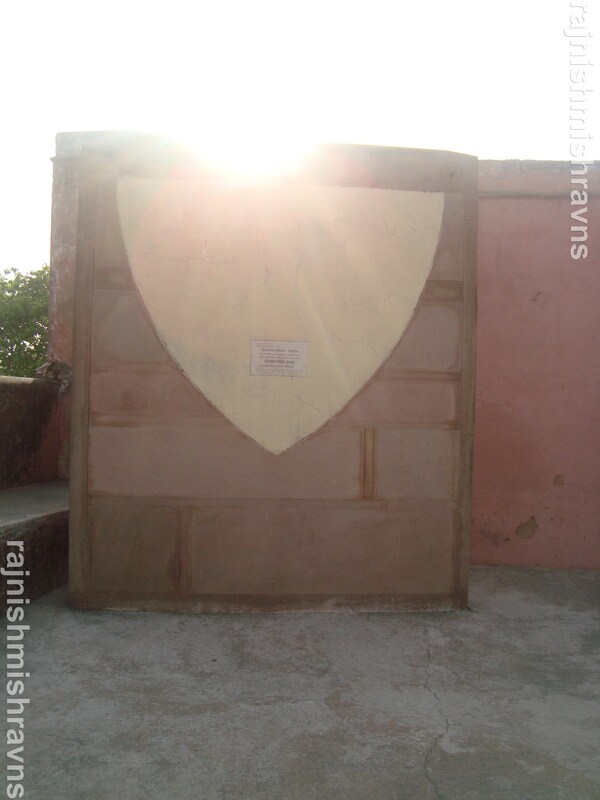 It’s the smaller version of the Samrat Yantra and performs similar functions. 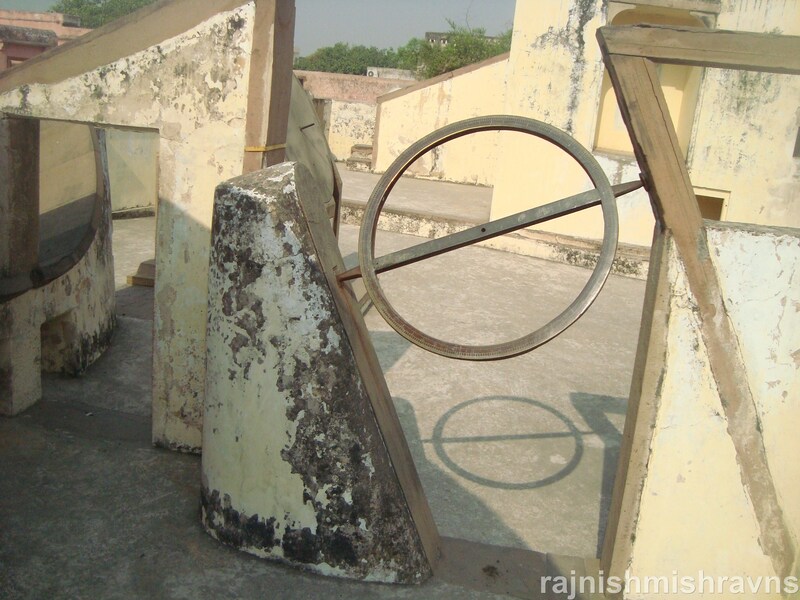 “The altitude of the heavenly bodies when on the meridian is known by this instrument”.